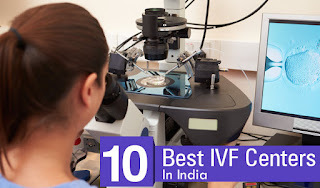 Dr.Malpani's Blog: Which is the best IVF clinic in India ? Which is the best IVF clinic in India ? Many patients ask me to refer them to IVF clinics in their own city, because they find taking treatment locally is much more convenient. The problem is that it's hard to be sure about the quality control standards which clinics adopt, which is why I am reluctant to take any names when guiding patients. If they have a bad experience, I don't want them to blame me. Please look for a clinic which does only blastocyst transfers; and provides photos of embryos routinely to all their patients ! IVF treatment is too important to leave everything upto the doctor, and that's why patients need to be well-informed, so they can ask the right questions, and get the best possible treatment ! and this will help you make better decisions ! Or you can send me your medical details by filling in the form at www.drmalpani.com/free-second-opinion so that I can guide you ! Infertile couples are not patients ! Should I transfer one embryo or two? नाकामियाब आई.वि.ऍफ़ उपचार| क्या करे? Was your IVF cycle canceled? Do you really need IVF treatment ? Is donor egg IVF the right option for you ? What IVF doctors want from patients.